Scientific and political disputes over drilling Marcellus shale for natural gas have focused primarily on the environmental effects of pumping millions of gallons of water and chemicals deep underground to blast through rocks to release the natural gas. But University at Buffalo researchers have now found that that process -- called hydraulic fracturing or "fracking"-- also causes uranium that is naturally trapped inside Marcellus shale to be released, raising additional environmental concerns. Marcellus shale is a massive rock formation that stretches from New York through Pennsylvania, Ohio and West Virginia, and which is often described as the nation's largest source of natural gas. 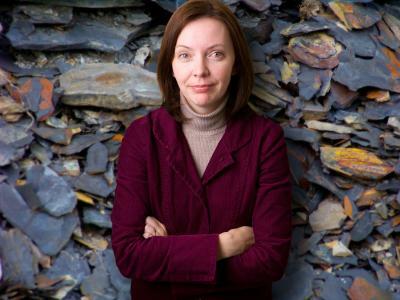 "Marcellus shale naturally traps metals such as uranium and at levels higher than usually found naturally, but lower than manmade contamination levels," says Tracy Bank, PhD, assistant professor of geology in UB's College of Arts and Sciences and lead researcher. "My question was, if they start drilling and pumping millions of gallons of water into these underground rocks, will that force the uranium into the soluble phase and mobilize it? Will uranium then show up in groundwater?" "We found that the uranium and the hydrocarbons are in the same physical space," says Bank. "We found that they are not just physically -- but also chemically -- bound. "That led me to believe that uranium in solution could be more of an issue because the process of drilling to extract the hydrocarbons could start mobilizing the metals as well, forcing them into the soluble phase and causing them to move around." "Even though at these levels, uranium is not a radioactive risk, it is still a toxic, deadly metal," Bank concludes. "We need a fundamental understanding of how uranium exists in shale. The more we understand about how it exists, the more we can better predict how it will react to 'fracking.'"